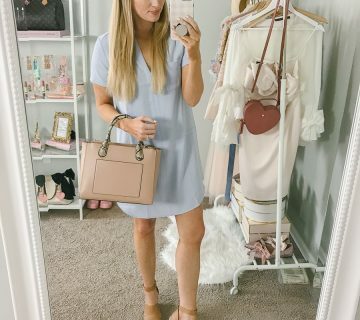 If you’ve been following along on Instagram then you’ve seen this cross body bag from Violet Ray in almost every #ootd post during June, it’s that versatile! During summer my philosophy is the more color the better, and this bag definitely fits the bill. 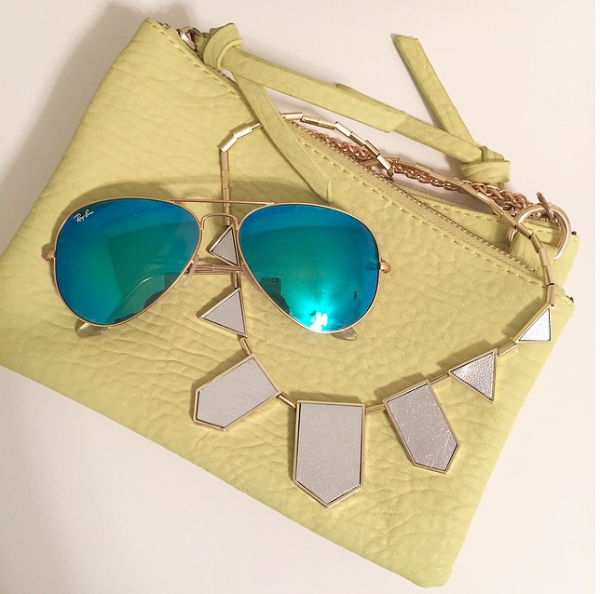 My go-to combination right now is this bright citron with turquoise. I would love to pair this bag with these beauties! It also comes in coral and black if that’s more your thing. To take it from day to night I knotted the gold chain into a bow for some extra MMPH! (see the look on Instagram here). What’s your favorite way to add color to your wardrobe? This patterned shirt+the yellow cross body bag is perfection! 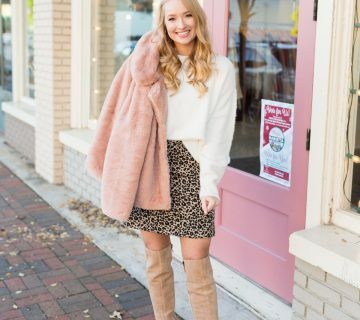 This outfit is a beauty! 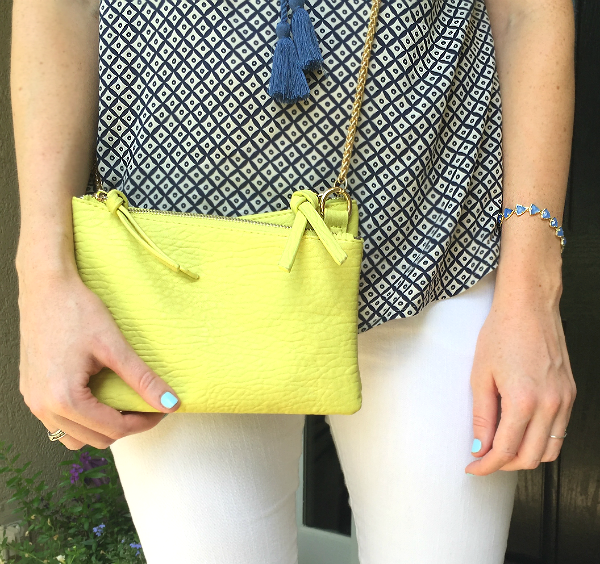 I love the vibrant cross body bag paired with the patterned top and white skinnies. I just started a Rocksbox subscription and I LOVE it, too. Isn't their jewelry awesome? Love everything about this- bright colors are so fun in the summer!